Whilst exits are common; and in certain cases, healthy as well, the differentiating factor is how maturely the organization handles such situations. 'Employee Exit' as a term, immediately brings to mind all the various processes from the moment an employee puts in his resignation to the moment he is out of the system. However, what typically gets overlooked, is the way organizations handle this very important aspect of the employee cycle; and the impact that this could have on the employee psyche, culture, image & morale of the organization. There is always an uncanny awkwardness within the organization or the function, once a co-worker decides to leave. This is mainly due to the uncertainty surrounding certain crucial aspects as to how the job responsibilities shall be shared / who shall be moved in to the role that is getting vacant etc. Whilst exits are common; and in certain cases, healthy as well, the differentiating factor is how maturely the organization handles such situations; and that can mark the difference between someone turning into a goodwill ambassador and someone not losing an opportunity to boo it down. So what can we do, as employers? As Human Resource managers? First and foremost, it is important to ensure that this event is not marred by ‘negativity’, the process is not mechanical, and the exit is handled with utmost care. 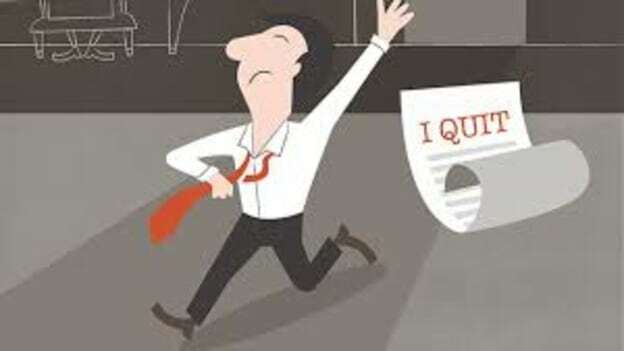 It’s the right time to introspect on the reasons why employees are choosing to leave? What does he/she mean when they say they are leaving for a better opportunity? Is the reason – compensation? Relationship with his line manager? Working hours? Weekly offs? Freedom to work? Challenging projects? Benefits? Company culture? Say, you are successful in getting the real answers – actual reasons as to why employee is leaving…What next? If our employee exit process ends at getting answers and recording in the personnel files, sooner or later, it might end up in a situation that could spiral out of control. Learning for the line manager or Human Resources team begins, in fact, by considering how this information can be used to make the organization competitive & attractive enough to keep employees interested. Once in a year, considering the popular reason why your attrition is high, you may want to re-check your salary positioning vis-a-vis market, encourage your line managers to undergo leadership or behavioral trainings, check if the roles are meaty enough, are there enough internal job / project opportunities, revisit guidelines in the employee handbook & check if the policies balance out employee & business centricity etc. Such a study, followed by corrective action, will surely help an organization bring down the attrition to a comfortable level and attract better talent from the market. On the other hand, if you are already comfortable with the attrition level and see exits as a healthy change, this would be a great opportunity to engage existing employees in the newly vacant position by means of cross functional trainings, job rotations, domestic or international assignments, allowing people to head mini-projects within the team etc. These measures not only help in filling the vacant positions, but also in promoting career development & internal mobility. Above stands true even in case of temporary exits. For example, recently, a Senior HR Advisor from my team went on marriage leave for more than a month; however, neither I, nor my team was overwhelmed by that thought, even though significant organizational changes were announced in the meantime. Reason? – curb over-dependency on a single person. Beginning of this year, the first thing we did to curb dependency on one person was to re-assign the way of working within the team and build back-ups. One fundamental mistake that many organizations repeatedly do, is to try and retain an employee after the employee has already exercised his or her choice of leaving the organization. Counter offers are not just counter-productive most of the times; it sends a very bad signal across the organization that talent is taken for granted; and only arm-twisting works. Employers should, rather, view resignations impartially and believe that this presents a good opportunity to offer a dignified exit to the leaving employee; and either add new talent to the business or offer internal mobility opportunities. It’s time we accept that the era of life-long loyalty & service is over; today’ generation seeks faster growth cycle; and movement between organizations is one way to grow up the ladder. Managers do need to understand the reality that no one organization can fulfill all aspirations at all times. As such, let go… Mature organizations use such ‘events’ to pass on a very positive message that we only mean good for our employees; and that we are really happy that someone, who has been associated with the organization for year/s, has now found something better, that can better fulfill his / her professional & personal dreams. Believe me, organizations treating the exiting employees well, have a better probability of rehiring them at some point of time in future. For not always are we on the right path, exiting employees’ feedback could be the torchbearer for better employment relationships going forward. Let’s learn-unlearn-relearn, give employee exits its due importance and stand a chance to be one step closer in becoming a “Great place to work”. NEXT STORY: What makes an ideal workplace?